Found this gorgeous products on a shopping trip yesterday. I was enticed into the store by the amazing smell of flowers and spices. It is an elusive and evocative fragrance. According to Fresh, Kerbside Violet is inspired by chance encounters and fleeting moments. A breath of serenity allowing you to slow down and notice the tiny revolution growing through the cracks of a concrete jungle near you. To me there is a sense of vintage elegance about Violets. This fragrance smells incredible. The best part is that LUSH does not test on animals, they only purchase from ingredient suppliers who do not test on animals and it’s 100% vegetarian. A fabulous find is the solid perfume, it’s a gorgeous violet purple color and you can use it on your hair as it doesn’t contain any alcohol. Moisturizes the hair, gives it shine and adds a divine violet smell all day. Hi DeeperLuxury 🙂 You make my day when you talk about fragrance – we love that in France… I am very sensitive to your point about non-animal testing. Really wonder if this can be a sales argument, something that will make potential customers tick the box. A fragrance reflects so much the image (or smell !) that you want to give to others about yourself, that unfortunately too little difference will be made with a non-animal testing claim. However, great that they can have this claim on their products. But we talk about Lush, which remains quite a main stream product. I do not know of any Chanel or Dior perfumes claiming that they are animal-testing free. It could one day end up in their communication. What is you view about sustainability and luxury, and the compatibility of the both concepts ? Can sustainability one day become a product differentiation, synonymous with premium and luxury ? Thank you for your comment. Yes luxury and sustainability should work hand in hand. Definition of luxury to me are products worth repairing and cherishing. A product made responsibly and with a sustainability strategy is certainly worth more to me. Luxury brands are able to influence – they should use their influence to convince consumers that sustainability is the new ‘ normal ‘, desirable and the luxury products to own. Unfortunately the analysis shows that despite strong commercial drivers for greater sustainability, luxury brands have been slow to recognise their responsibilities and opportunities. All consumers including all of us should call for a new type of luxury, luxury with deeper values. Luxury brands should be responsible with their sourcing of products and raw materials, manufacture and distribution of products. Luxury brands should give customers visibility to their supply chains and sources of the products e.g. full traceability on leather and cotton. I am certainly someone that really would change my decision making when I am buying a handbag or pair of shoes if I had visibility to the source of the products. Authentic, honest and transparent luxury brands are those that understand the influence they have and use it positively to become more sustainable. They are the brands that identify and understand that their consumers have the means and motivation to respect both people and the planet. Thank you again for your comment, keep reading please ! Hi Deeper Luxury – fantastic blog as always. Good commentary from Fabrice too. I Googled ‘animal testing on cosmetics’ and found the pictures quite disturbing…there must be a bunny rabbit in me somewhere. Cruelty-free cosmetics is an area which could probably benefit from greater public scrutiny and profile – so well done on posting the Blog. Would make for an excellent research thesis I guess – maybe next time. 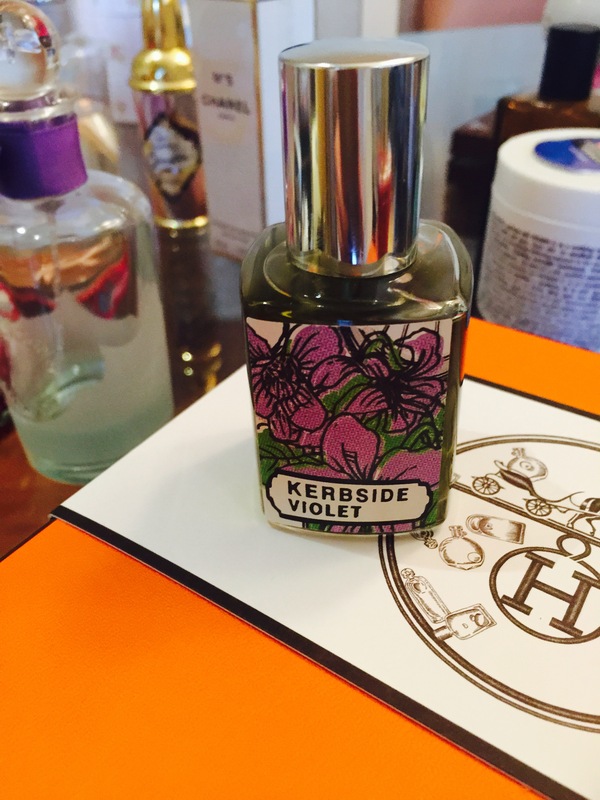 When I first saw the perfume tin, I mistakenly read ‘Kerbside Violence’…must be the South African in me ! (Well they do have a bath soak here called Boerewors Bubbles). Hmmm….I can smell the violets already…’chance encounters and fleeting moments’ – I’ll have to dab it behind my ears in Cambridge. Keep up the good work folks…. Yeaps. She’s a real blogger 🙂 Even the blog design is luxurious !